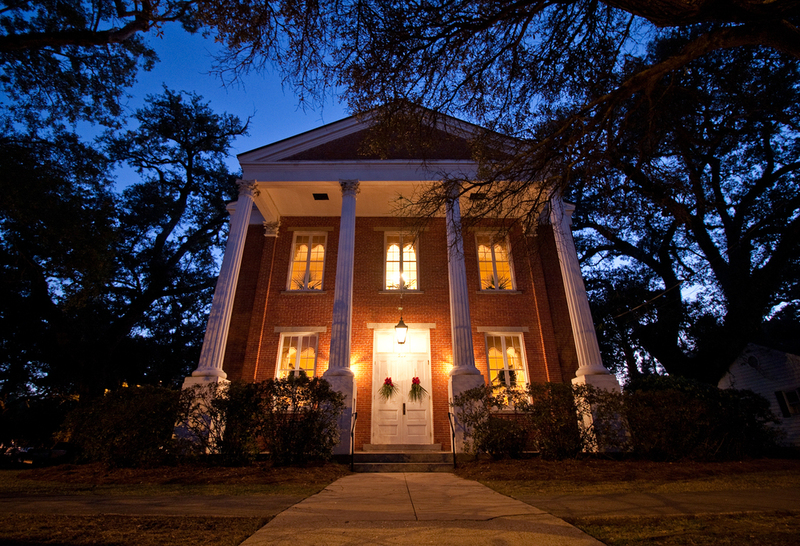 The Winyah Indigo Society Hall is the perfect historic event venue for wedding receptions, banquets, social events, or corporate meetings located in the Georgetown, SC historic district nestled among the live oaks. Within walking distance to town and only 15 minutes from Pawleys Island beach. Experience true grand southern charm! The Winyah Indigo Society Hall is a private event facility available to rent for a wedding reception, banquet, social event, or corporate meeting. The hall is located in beautiful downtown Georgetown, S.C. nestled among the live oaks in the heart of the historic district. The society itself was originally chartered by King George II in 1758. The present building was built in 1853 to serve the society as a school, meeting place, library, and hospital for Federal troops during the Civil War and is registered with The National Register of Historic Places. The hall can accommodate up to 333 people and offers multiple rooms, acting as the perfect platform for all types of events and meetings. Located one block off Front Street, the hall is in walking distance to downtown churches, restaurants, and bars with convenient curbside parking throughout the historic district. The facility is a fee-based concept, meaning that catering and additional services would be the responsibility of the renter and/or their event planner.